The senior apartment you’ve been searching for is waiting for you at Lakeview Tower. Our studio and one bedroom 50+* luxury apartments feature beautiful interiors and spectacular views of Lake Howard. With utilities included you will also find that our homes are affordable. 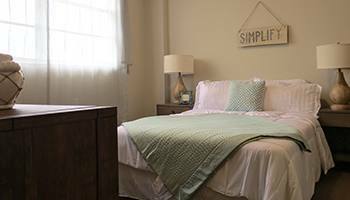 Other conveniences of our apartments include air conditioning and energy-efficient appliances. 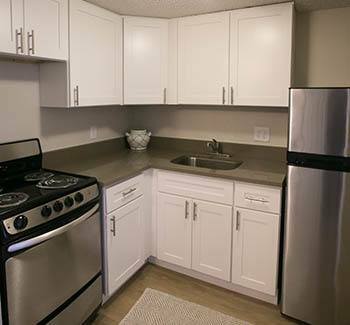 Upgraded floor plans are equipped with stainless steel appliances as well. This is the home you will be proud to show off to your family and friends. At Lakeview Tower, we make security and convenience two of our primary concerns. With an electronic entrance, you will feel at ease moving about our community, while on-site laundry facility serves to enhance the accessibility of our apartment homes. Learn more about the amenities offered at Lakeview Tower. Contact our leasing staff to schedule a tour. We can’t wait to make Lakeview Tower your new home! !